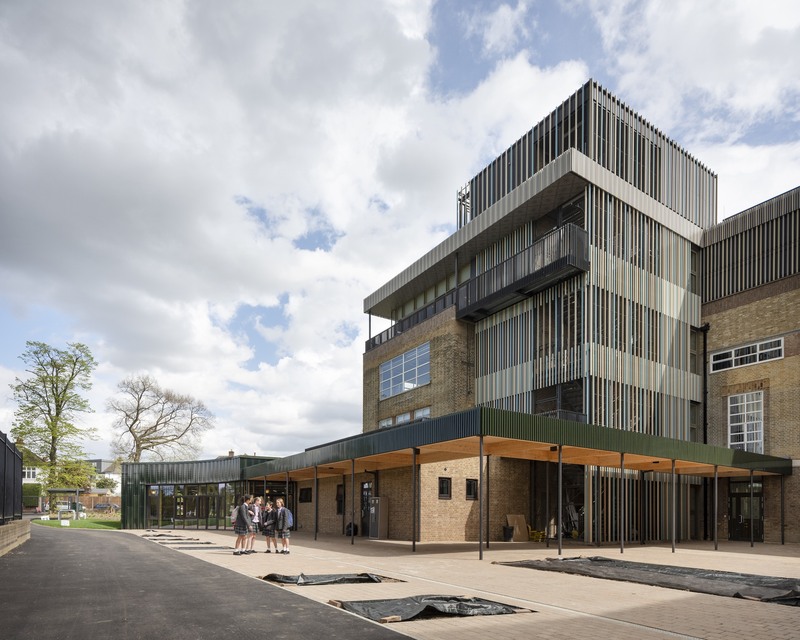 The newly completed second phase comprises a new-build ground floor extension featuring a new dining hall, a new school entrance, internal refurbishments, reception facilities and landscaping. 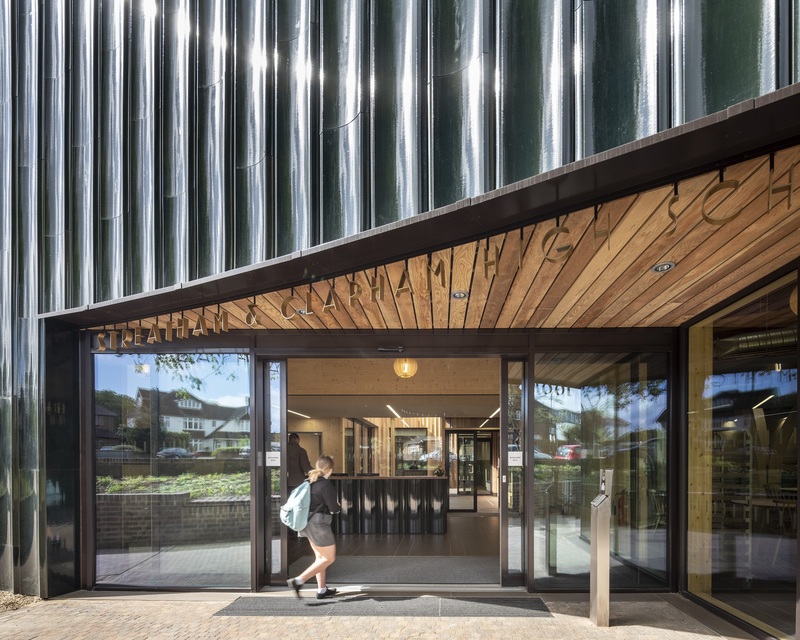 The new reception space connects to the school to the street, creating a safe, visible presence, while also creating a more direct relationship with the community. 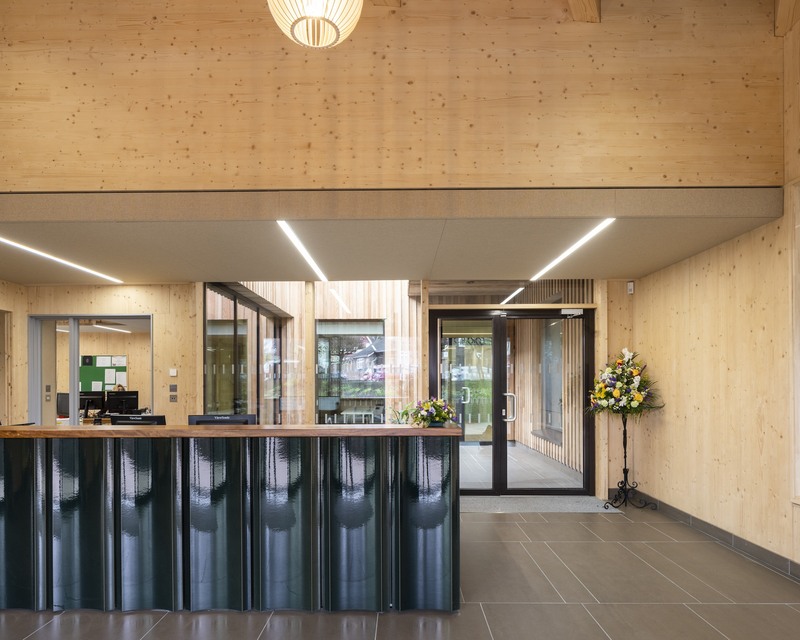 New ‘front of house’ facilities allow the school to separate pupils from visitors, while a small internal court allows a more appropriate transition to the school. 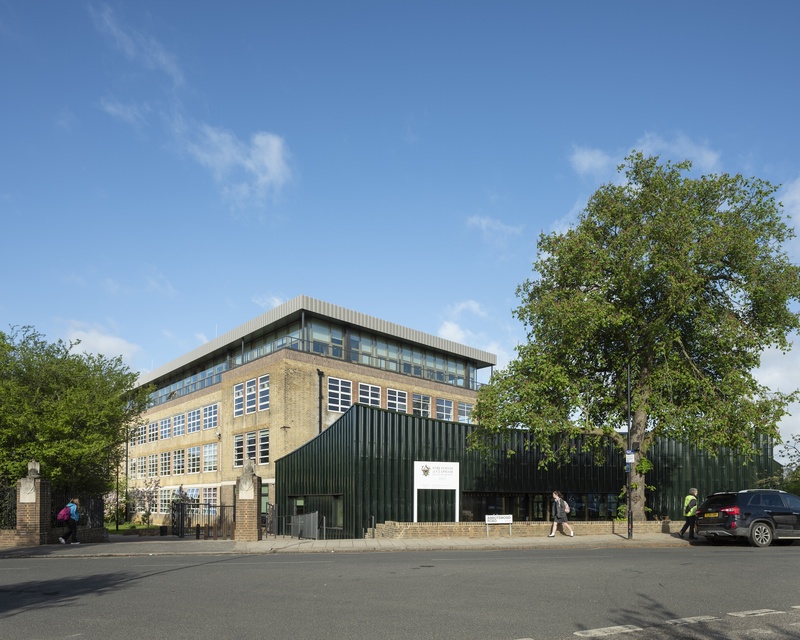 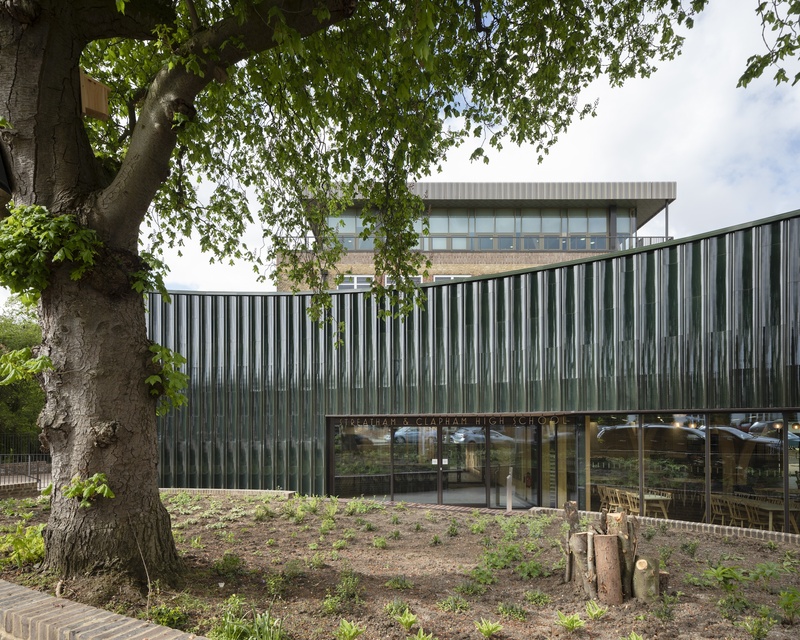 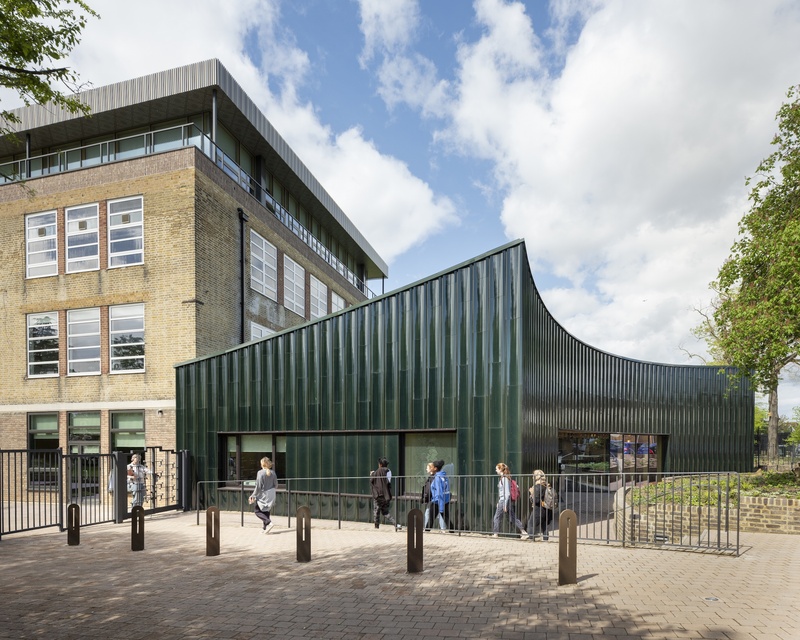 The new extension Is a catalyst which allows the whole school to be re-orientated to the street, transforming its presence and relationship with the immediate community. 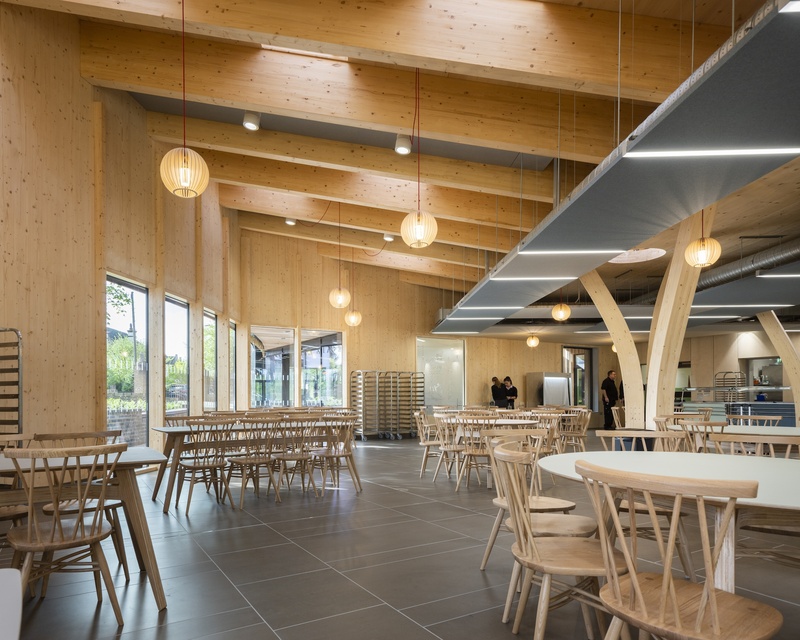 The dining and reception block, with its irregular geometry and concave ceramic cladding, contrasts the form and material to the existing building. 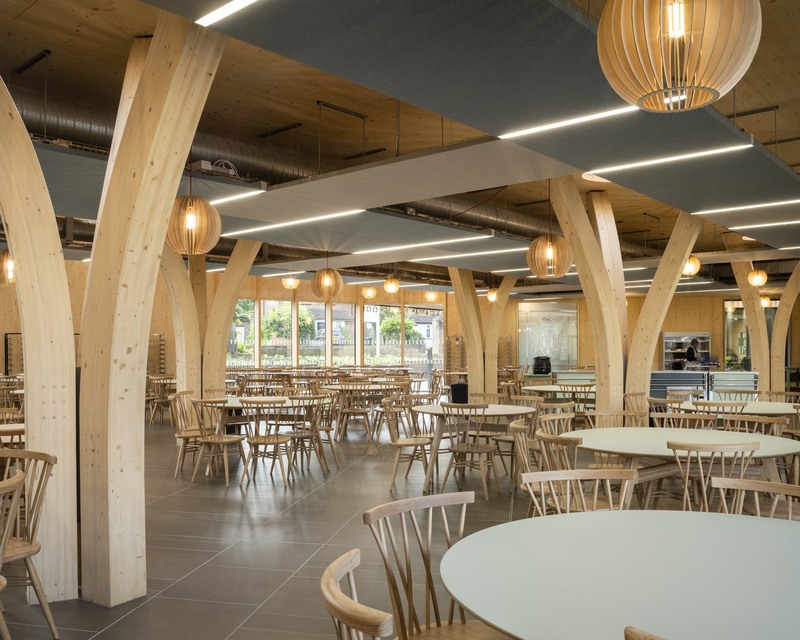 This unique space reinforces the idea of dining as a social activity. 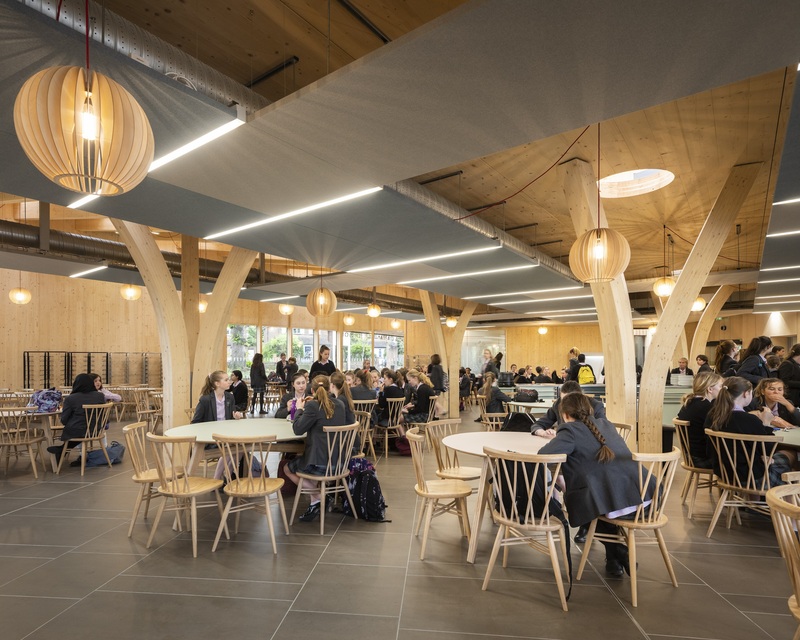 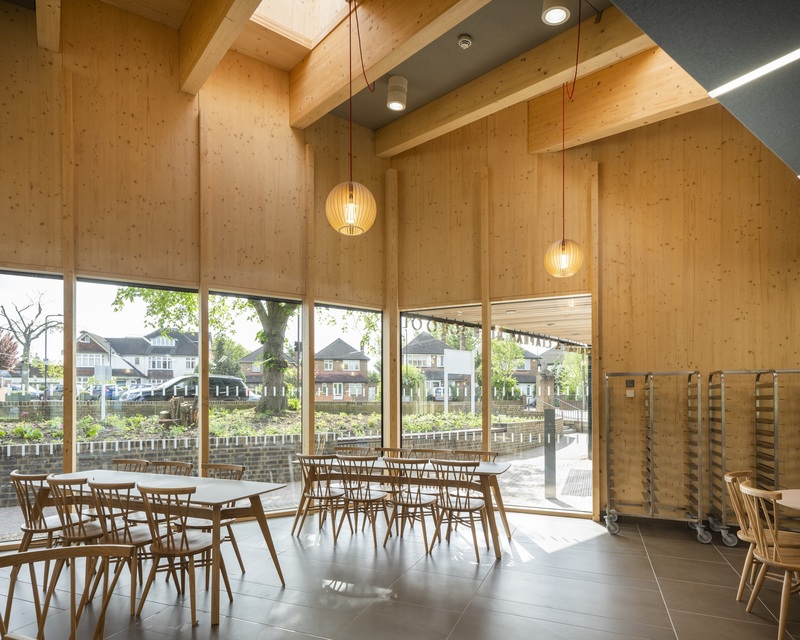 The interior, like the sixth form extension, contains exposed CLT structure and glulam tree-columns. 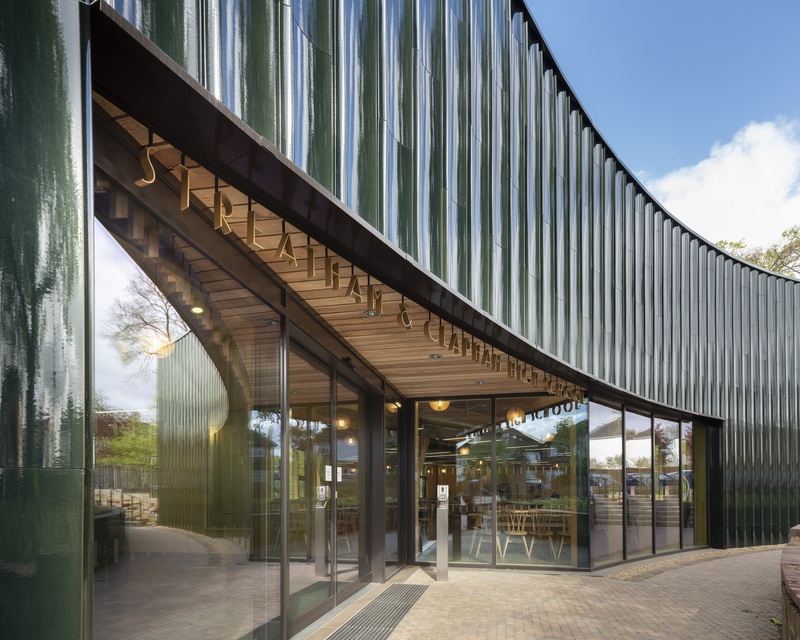 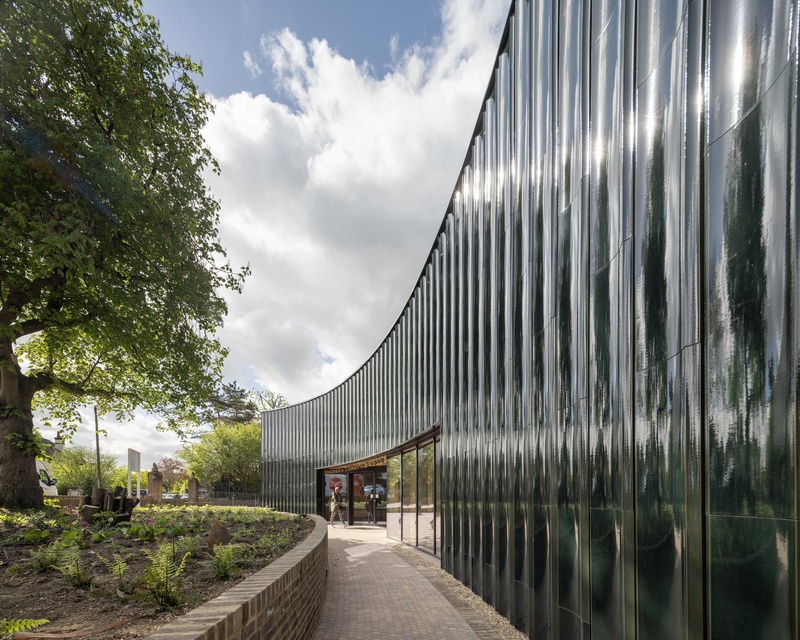 The additional new spaces allow the design to build a strong relationship with the local community, as they are open for use by the wider public when required.